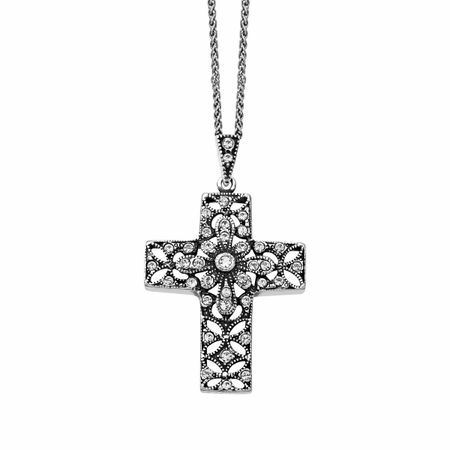 Van Kempen adds dazzling Victorian detailing to elevate the look of this classic cross pendant. Starbursts of shimmering white Swarovski are set in a beaded setting of sterling silver. Piece measures 1 1/2 by 7/8 inches. Comes with a sterling silver 18-inch wheat chain.